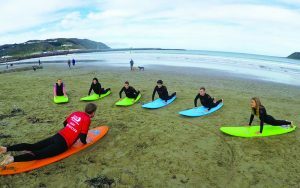 Wellington Surf Lessons run 4 day courses for kids every school holidays, even in winter. All kids are provided with the right surfboard, wetsuit and placed in the right age group to get them having the most fun and learning quicker. Dates students can book in for Summer Holiday Lessons are from Dec 10th – 24th then Jan 3rd – 27th 2019. Aimed at kids of all levels of ability and fitness from 5 years old and upwards. From beginners to intermediates. Wellington Surf Lessons Instructors will split the groups according to ability to ensure we have our brand new surfers in one group, and the slightly more experienced group with another. Instructors are in the water during these lessons and assist with pushing participants onto the waves. 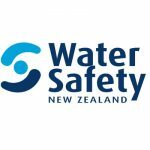 All equipment such as softboards and wetsuits are provided. Please bring your towel and change of clothes. Lessons will still run in the rain. If conditions are not suitable on the day, you will receive a text advising of a location change to another beach or a cancellation altogether. In the case of a cancellation, a make-up class will be scheduled for the final week of the term.